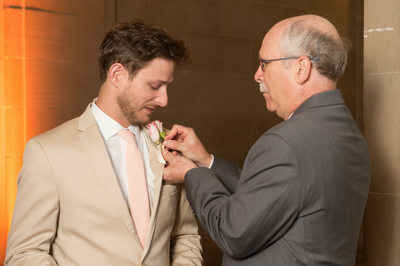 Angela and Michael's City Hall Wedding Gallery - Downtown Reception. The other little twist they had in store for us was the addition of their dog. 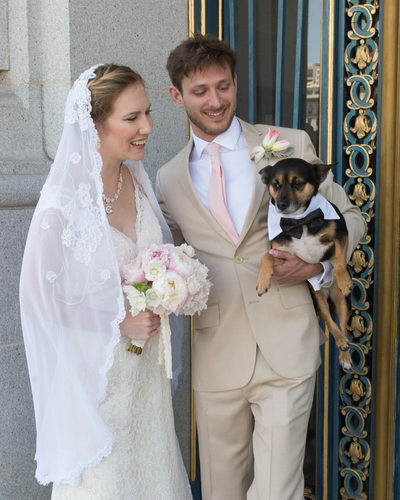 They had a friend bring the dog to the steps of San Francisco City Hall dressed in a cute little dog tux (see photo above!). We then did some posed shots in front of the City Hall sign. 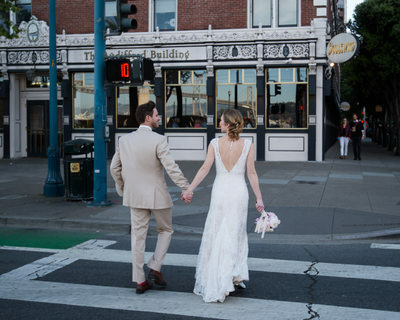 As often occurs, the best shot was the one not planned with the couple looking at the dog instead of the camera (see photo above). 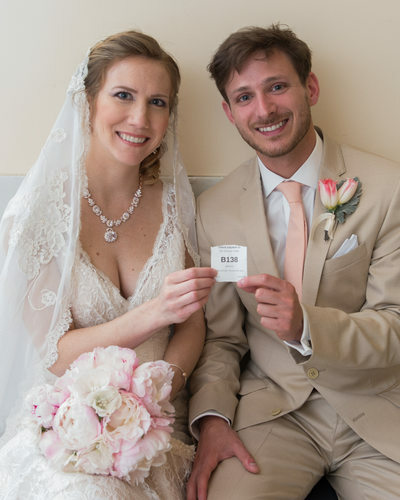 Proof again that the best photography just happens and it's our job to capture it when it does. This was a particularly challenging day at City Hall because they were planning for a huge event. 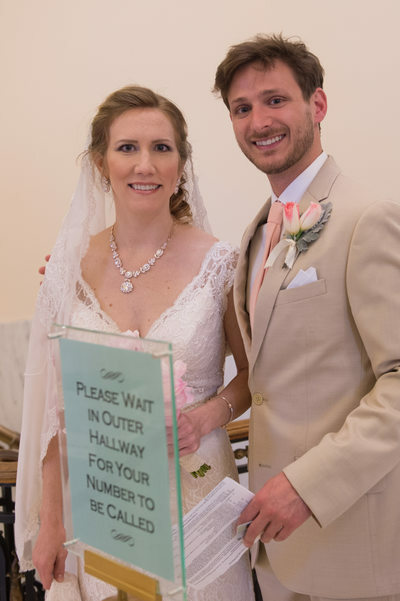 A large part of the building was roped off and not accessible for wedding photography (or anything else!). 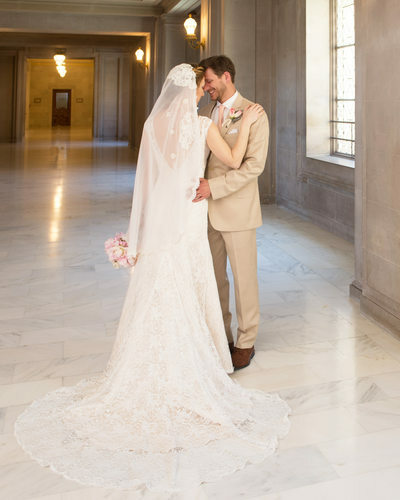 Through our very detailed knowledge of this building, we managed to take the wedding couple to unique spots and still got some amazing photos! We even created some very nice architectural photos by bringing Angela and Michael to the fringes of some of the blocked off areas and posed them there. Our next stop was Crissy Field in the San Francisco Marina District. 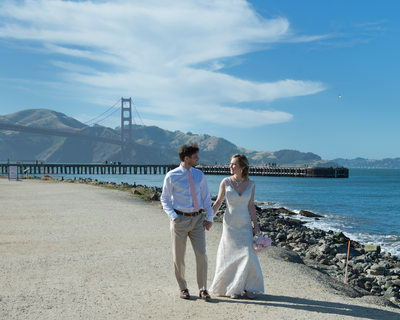 We took them up on top our favorite hill and got some gorgeous photos in front of the Golden Gate Bridge, including a jumping shot where it almost appears that the happy couple is hopping over the bridge! 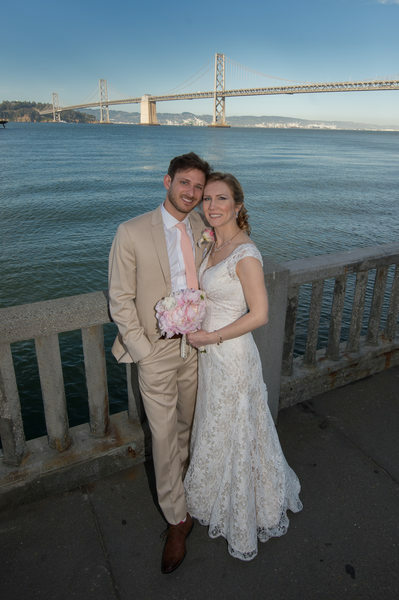 We finished our San Francisco tour in the downtown area with a few pictures including the San Francisco Bay Bridge. Also in the background you see Treasure Island and parts of Yerba Buena. 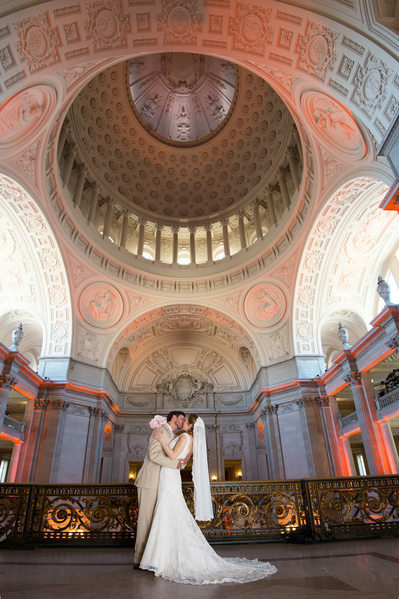 We are generally regarded as one of the best SF city hall wedding photographers currently working at this incredible venue. 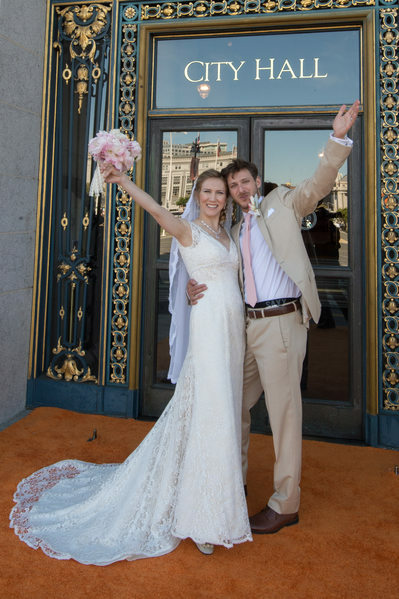 However, there are many other fantastic photographers that regularly cover weddings at San Francisco City Hall. 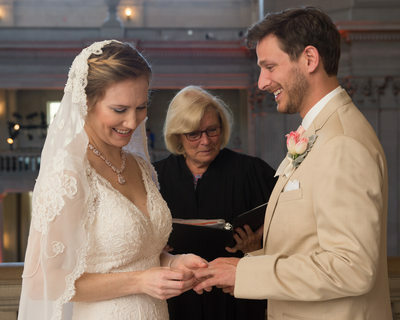 If you are looking for a different style, we strongly encourage you to seek out an experienced city hall photography professional. 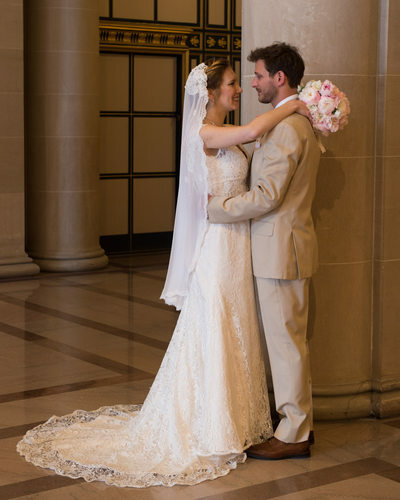 The lighting challenges here demand a true professional who has photographed weddings at city hall in the past.